European pension funds are investing in global farmland, with a focus on emerging markets. Allocations to farmland tend to be small — typically less than one-tenth of 1% of total assets. But pension fund officials like the investments for the low correlation to other asset classes and the targeted annual real returns of 10% or more. And while earlier farmland investments were made directly, the more recent investments are being done through funds that aim to capture returns on crops, livestock or other agriculture products as well as appreciating land values. Farmland is “one of the most interesting investment options arising in the past couple of years,” said Jelle Beenen, partner at Mercer LLC and head of its financial strategy group in the Netherlands. In a “very rough estimate,” Mr. Beenen put total Dutch pension fund assets in farmland at €2.5 billion to €3 billion ($3.4 billion to $4.1 billion); the total Dutch pension market is €740 billion. Pension funds that have made global farmland investments include the €208 billion Stichting Pensioenfonds ABP, Heerlen, Netherlands; the €84.3 billion Pensioenfonds Zorg en Welzijn, Zeist, Netherlands; and the 206.5 billion Swedish kronor ($28.8 billion) AP Fonden 3, Stockholm. Algemene Pensioen Groep NV, which manages assets of ABP, began looking into farmland in 2007 as part of a push for innovation at the money management firm, which manages €240 billion in total. APG has “a few hundred million” euros invested in farmland, primarily in Latin America, Australia, New Zealand and Eastern Europe, said Jos Lemmens, senior portfolio manager, commodities, at APG. He said farmland can be a better way of getting exposure to soft commodities, such as wheat or corn, because farmland returns are less volatile than commodity futures. Annual returns of 8% to 12% are expected on average, with some riskier countries and/or crops expected to deliver 20%, he said. AP3 has invested 267 million Swedish kronor in publicly traded companies that invest in farmland primarily in Russia and to a lesser extent Ukraine, said Christina Kusoffsky Hillesoy, the fund's head of communications and sustainable investments. Two examples of these companies are Alpcot Agro and Black Earth Farming Ltd., each of which buys farmland in Eastern Europe and oversees management on the land. “It's a very small part of our portfolio,” Ms. Hillesoy said, adding that fund officials like the diversification farmland brings to the portfolio. “We also believe there's a high potential for high returns in the farmland industry.” She declined to disclose the fund's returns on farmland investments, which were made in 2008. PFZW had allocated up to €50 million to New York-based NCH Capital Inc., which also invests in Russian and Ukrainian farmland, as of Dec. 31, 2008, the most recent data available. Officials at APG, AP3 and PFZW all cited portfolio diversification as the primary reason for investing in farmland, with possible inflation protection being a secondary reason. Pension fund officials emphasized they are careful to ensure farmland investments follow best practices for environmentally and socially responsible investing. While developed countries typically offer more political stability, land prices are usually high and farming techniques are advanced. But in developing countries, managers can raise values by consolidating farms and boosting production. In these countries, managers also aim to add value by building businesses around farming, and — for those who view farmland as a socially responsible investment — by helping build wealth and improve farming techniques within local communities. However, developing countries also present political risks, and that has prevented many institutional investors from taking the leap into farmland investing, said Ken Jones, a Lincoln, England-based director in agriculture investing and valuation at real estate broker Savills PLC. “I'm sure it's going to come, but it's early days at the moment,” Mr. Jones said. Many investors and managers in the U.K. have started looking for farmland opportunities, but few have pulled the trigger, experts said. In fact, Schroders PLC dumped plans for a £250 million ($387 million) publicly traded global farmland fund it announced in August 2008. A Schroders spokeswoman declined to provide additional information. U.K. pension funds, after having mostly abandoned direct farmland investments in the 1990s, are beginning to show some interest in emerging market farmland investments. However, interest among European pension funds, especially in the Netherlands and Nordic region, is becoming much more widespread, said Reza Vishkai, head of specialist investments at Insight Investment Management (Global) Ltd., London. “Now you're seeing a lot of interest in it as an asset class for pension funds,” he said. Insight, which manages assets of £88.1 billion, is gathering investments for its first farmland fund. The fund structure, which is new for farmland investments, demands much less governance by pension funds than do direct investments and also allows for a global approach, which improves diversification, Mr. Vishkai said. Also, “typically funds have a more active investment angle,” he said. For example, managers can boost land values by consolidating farms and enhancing farm production through using better equipment, seeds and techniques. London-based SilverStreet Capital LLP is launching a $300 million fund in June that will invest in farmland in Africa, but it also looks to create supply and processing businesses off the initial investment, said Gary Vaughan-Smith, SilverStreet's chief investment officer. By helping surrounding farmers improve techniques, the fund will create demand for fertilizer, for example, or become the natural buyer of excess grain. Plans include developing tilapia fish farms fed off the grains raised at nearby farms. Farmland funds in Africa often focus on sustainability or social responsibility. 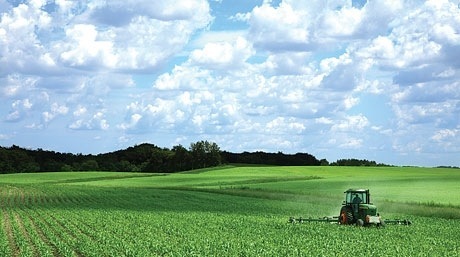 South Africa-based Futuregrowth Asset Management Ltd. expects to raise $400 million for its Old Mutual African Agricultural Fund, a closed-end fund with a three-year lockup that invests in farmland in South Africa and other countries in sub-Saharan Africa. As part of a government plan to return farmland to black farmers, the fund will buy land at approximately 80% of its current value, train locals in advanced farming techniques, then sell the land back to the government at 100% of current value, plus inflation increases. “The interest of the fund is totally from a socially responsible point of view,” said James Howard, Cape Town-based fund manager at Futuregrowth, a boutique within Old Mutual Investment Group (SA) that manages 100 billion rand ($13.7 billion). The fund is targeting investments from European institutional investors, especially in the Netherlands. Farmland is an attractive investment because of secular fundamentals, experts say. Agricultural commodity prices, which boomed in 2008, still haven't risen in real terms for decades. Meanwhile, the growth in population and wealth will increase demand for food, while the supply of farmland is limited. But risks — especially political risks — loom large when investing in developing countries. At Hewitt Associates, consultants feel farmland is too narrow and illiquid an investment for pension funds. MIGA currently holds total exposure of $7.5 billion, $864 million of which is in the agribusiness, manufacturing, services, and tourism sector, and has backed projects worth $21 billion since its inception in 1988.